This Okra-Pappad Fry is an easy, tasty and popular side-dish only needs 8 mins microwave cooking-time. This side-dish is the best combination for rice and sambar and chapathis. Take a microwave bowl and mix all the ingredients with 1/2 cup water and Microwave(high) this mixture for 8 mins. 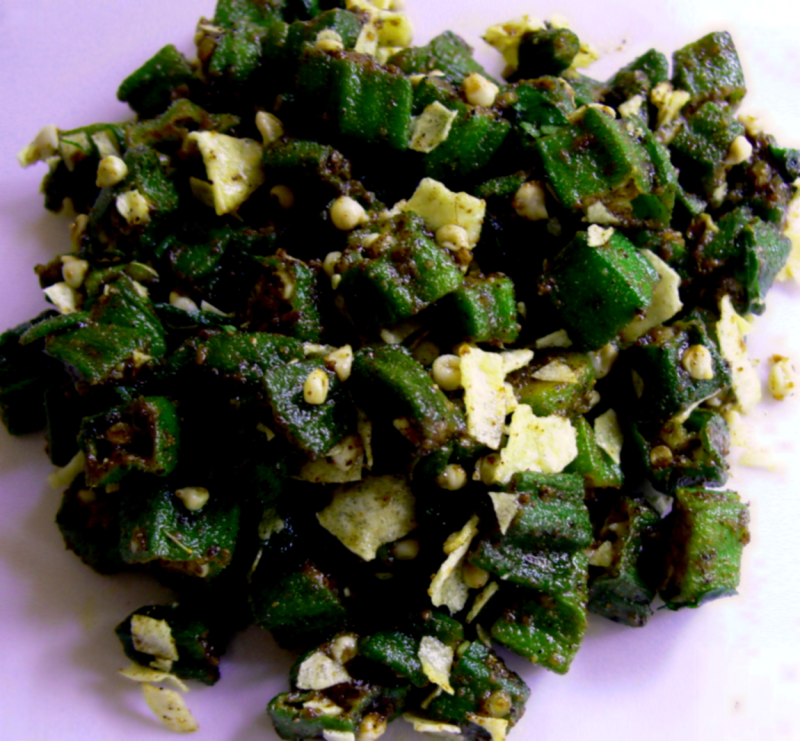 Serve this Okra-Pappad fry hot with rice and sambar or chapathis.